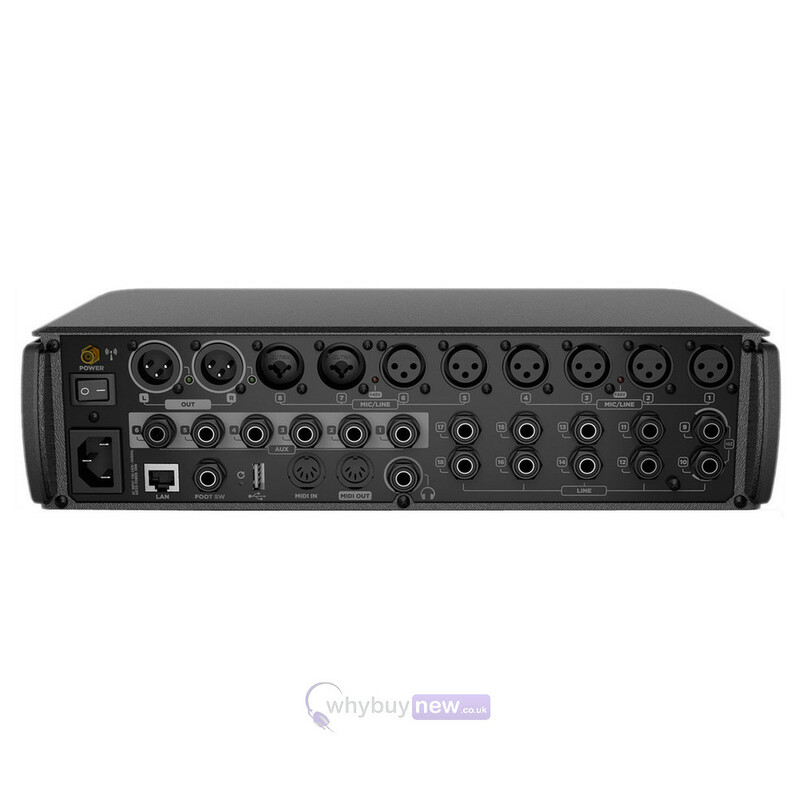 This is the RCF M18 Digital Mixer; a digital audio interface with 18 analogue inputs, plus internal and external antennas that enable wireless control from up to five tablets. 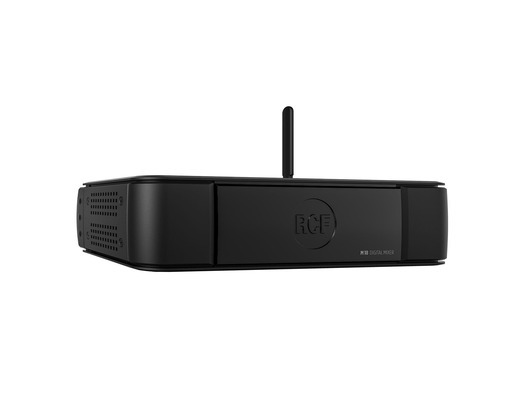 The wireless nature of the RCF M18 gives you excellent versatility with live performances, allowing you to place the unit away from the stage and control it from wherever you need to with the help of the MixRemote app. 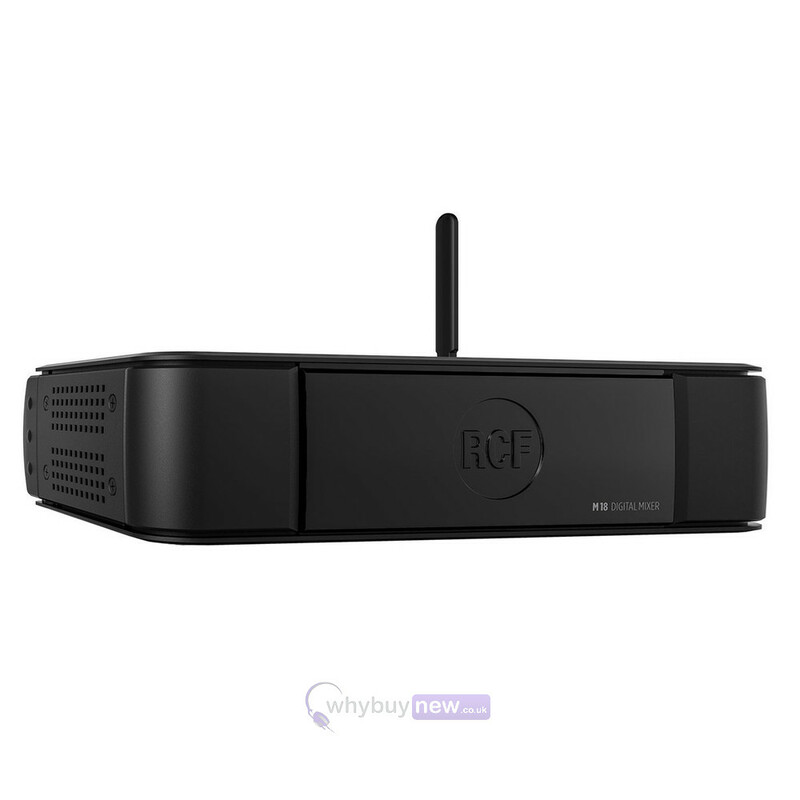 The RCF M18 has been designed to be easy to use and understand, which is great if you're a travelling band or artist and don't have access to (or want the involvement of) a sound engineer and you want complete creative control over your sound. Here we have the RCF M18 Digital Mixer in brand new condition and in B-Stock. The B-Stock versions would have been on display at a training evening or trade exhibition only and will come boxed 'as new' with all accessories and a 1-year warranty. The b-stock boxes will have some cosmetic damage (please see photos). The MixRemote App enables complete and versatile control of the RCF M 18 Digital Mixer. Developed for iOS first, the MixRemote App has been designed with musicians in mind and is very simple to use, thanks to its intuitive Graphic User Interface. Each page or channel functions can be reached with a couple of touches of a single hand an essential convenience while playing. 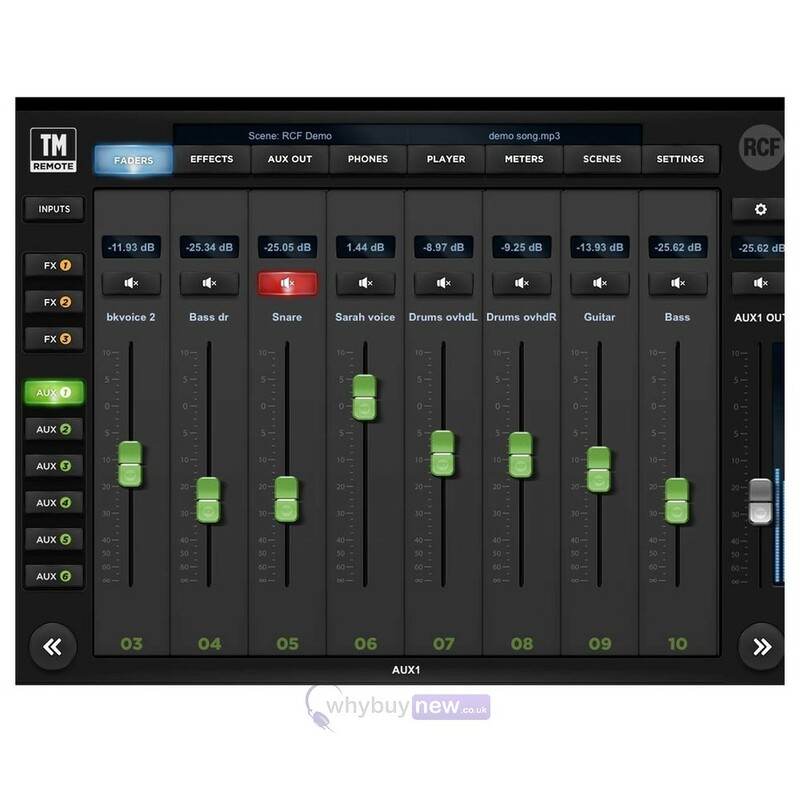 The M 18 digital mixer can provide up to 19 simultaneous effects. Three of them are defined as SEND EFFECTS and are fed by dedicated FX SENDS. FX1 is a particularly deep and transparent reverb, providing a realistic simulation of large ambients, such as halls, or rooms and plates. 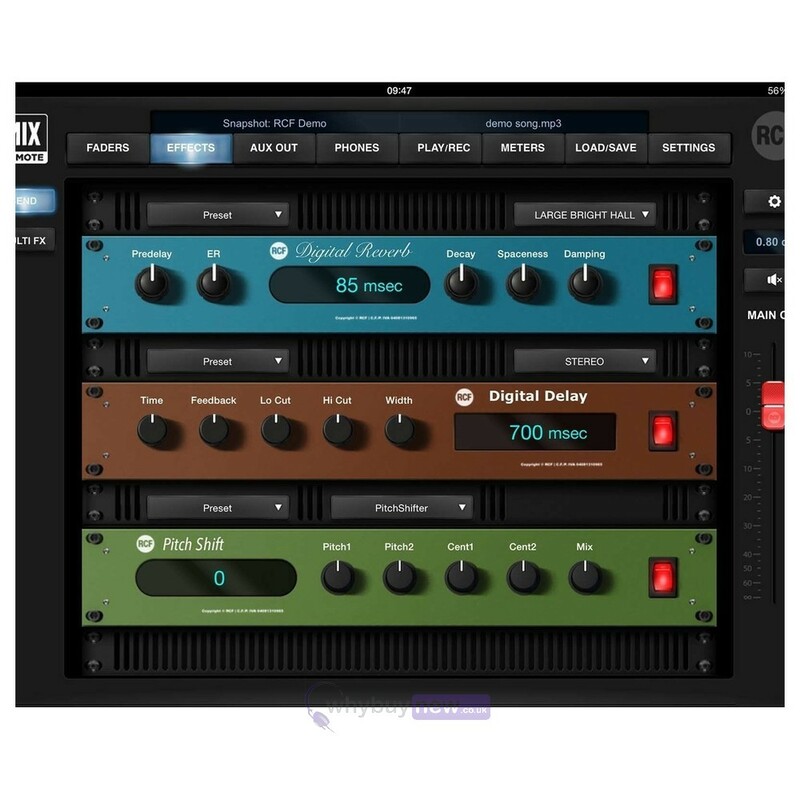 FX2 is a professional delay with a tap time up to 2500 ms and dedicated filters on the feedback signal, thus creating interesting sounds and complex tapping effects. FX3 is an assignable multi-effect with several choices: chorus, flanger, pitch shifter, among the others. Designed for musicians. 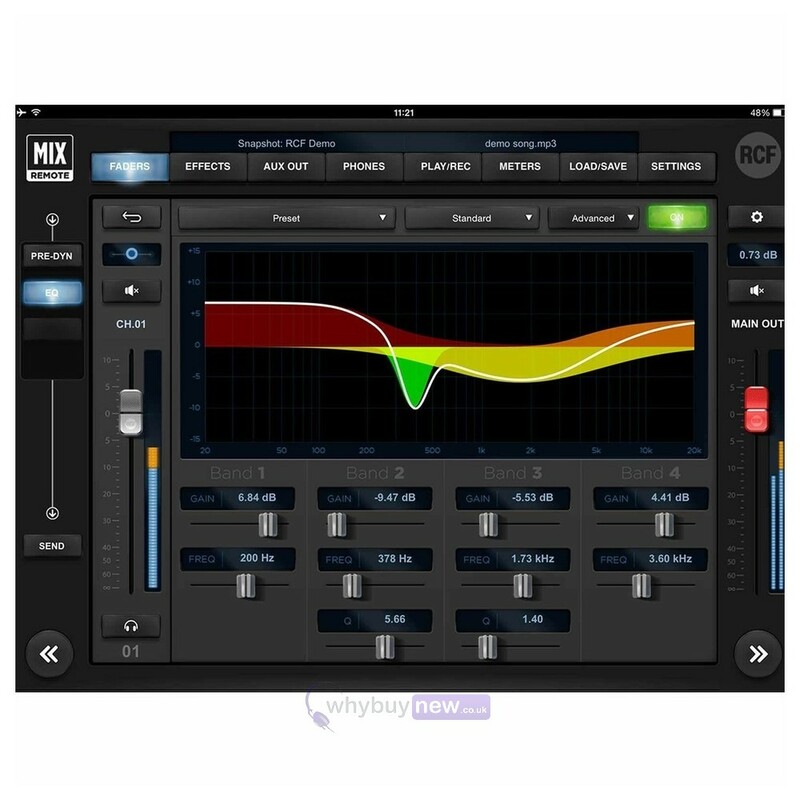 Two line inputs can be switched to a Hi-Z mode and host several realistic amp modeling simulators. Guitar and bass players can count on as many as 11 simulators specifically created for them: Darkface 65 (US), JazzC (JP), Rock 64 (UK), Rock 800 (UK) Crunch, Rock 900 (UK) Lead, Top30 (UK), Modern (US), BassMate (US), BassAmp (DE), Markbass Little Mark III (IT), Markbass TTE 500 (IT). The new firmware version adds a further four Amp Simulators: Slo88 Crunch (US), Slo 88 Lead (US), Overange 120 (UK) and Heavy 51 (US). It is also possible to substitute one of the Amp Simulators with a versatile Acoustic Simulator. Combine each amp with many different cabinets and explore various sound possibilities, emulating three types of microphone and three distinct positions: Near on axis, Near off axis, and Far from cabinet (1 m). The wide range of integrated sound options will allow every musician to re-create his own personal familiar sound without the need to transport heavy and bulky amplifiers and cabinets. RCF Gates: "Gates present on all input channel"
Main OUT type: "Valve Warmer, Xciter, Maximizer, 31 band Graphic EQ present on MAIN MIX"